Nobody's said the 2015 Jeep Renegade is meant to approach the capability of a Wrangler, "Trail Rated" badge or no. Jeep's new jacked-up hatchback is happiest on dirt roads, but it's still got chops for a few heavier obstacles along the way. Folks at the curiously-named Italian car site M3 MotorCube either have great cinematography skills or stole this clip from someone who does (Chrysler's marketing department?) because this clip is downright lovely to look at. I think this kind of rough-road riding with the occasional light water crossing and crawl is exactly the kind of "trail" Jeep had in mind when they Trail Rated the Renegade Trailhawk. It ain't the Rubicon but it's a lot more interesting than the terrain most Jeeps will probably spent their lives on anyway, right? 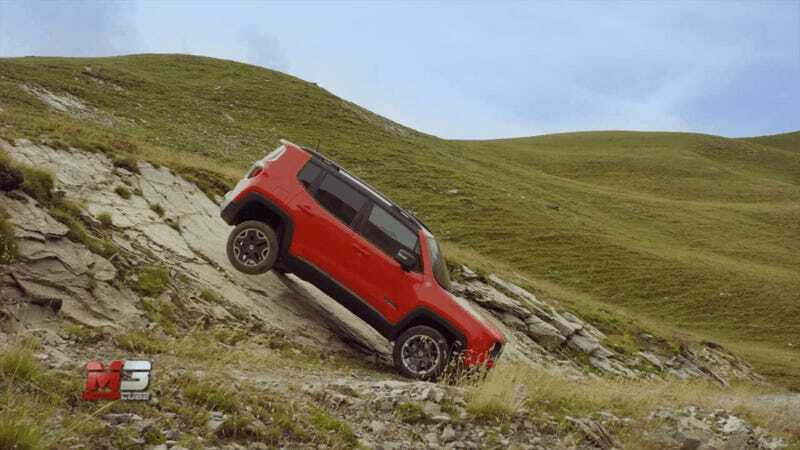 ​Will The 2015 Jeep Renegade Be Any Good Off-Road? Anyone think the Renegade will be able to get deeper than this? We hope to find out when we finally get to drive it. Until then, speculate away! 2015 Jeep Renegade Gearing Up For World Conquest With Three Plants?